Sudoku Selection is an all-new package of well-loved sudokus along with an unbeatable selection of sudoku variations, inclusing sudoku chaos, killer sudoku, sudoku triathlon and more. 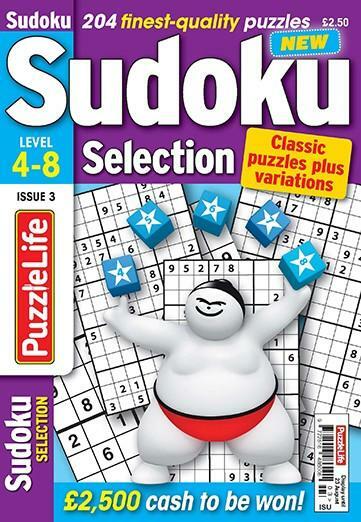 Graded for difficulty from medium to very tricky, Sudoku Selection is just the magazine for the experienced sudoku fan. Be the first person to tell us what you think about Suduko Selection and you'll save £2.50 on your next purchase!